Anyway! Let's get on with the review... even though... actually, this is a wrong review, hahaha, since it's a NaNoRenO 2015 game and not 2016. Sorry, I didn't notice. Huhuhu. But... yeah, here it is! ...and to be perfectly honest, I'm not a big fan of it. This is of course, just completely based on my personal preferences. I think there would be some people who would be completely in love with this story, while I think that the premise is a little bit ridiculous. Sorry. But seriously, I find the whole thing kinda hard to buy. It kind of feels a tacked on, just to give fanservice or fulfill a fantasy for the readers. Which is kind of sad, actually, since I think the idea of having a maid school or having maids training in the military in secret is pretty cool and clever. I like the part in the story where it says that while people would suspect big guys in black with suspicious earpieces, most would think twice about suspecting a fragile looking maid in a frilly costume. I think that's true, and that logic could be used as a cool premise to another game. But for the rest of the elements in this game's story? Sorry, but for the most part, I found myself unable to believe them all. I found no glaring errors, but there were some minor typos like "one" instead of "on", or "th" instead of "the". The writing flowed pretty smoothly and I like how the main character speaks, because I think she sounds like a normal teenager. I could actually imagine my own friends speaking just like her, which is pretty cool. Hahaha. The art is absolutely lovely, especially the CGs! Oh my. I was surprised when I saw the first CG, partly because it's so pretty, but mostly because I never expected to see something like that in a game like this. Hahaha. 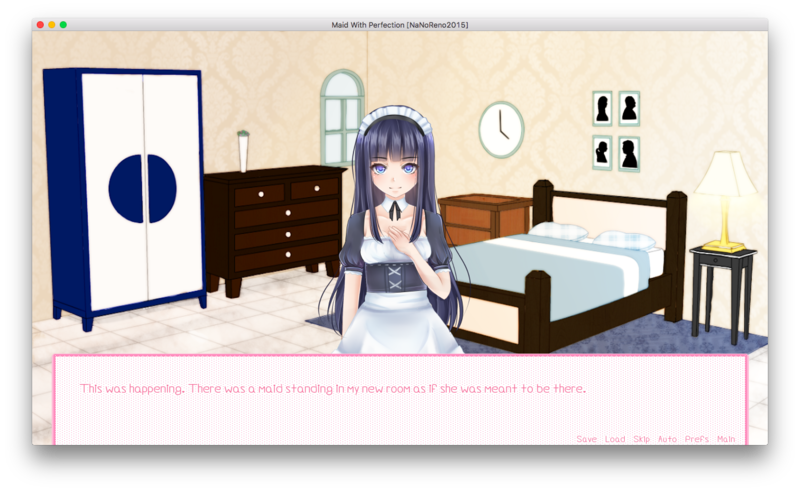 Oh, right, just to warn you guys, this is a pretty NSFW game, I guess. I was pretty surprised since I was playing this while baby-sitting my little cousins, and when that CG came on-screen, I kinda panicked that they might see it. Hahaha. Thank goodness they were too busy playing make-believe with dolls, or else that would've been a really awkward explanation with their dad. So... yeah, just a warning to all those who'd want to play this around people... haha. Yeah, you have been warned. Ahem, but anyway, where was I? Oh, right, art-wise, this is a really decent game. 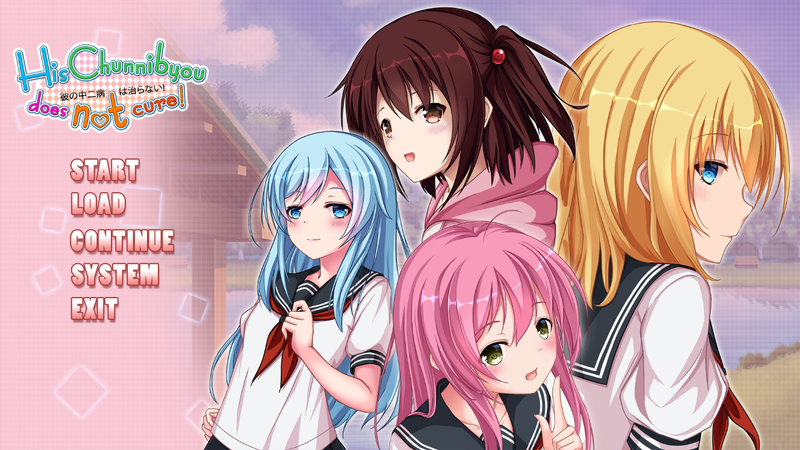 I just love how the CGs and the sprites are done! However, I was kinda disappointed with the backgrounds. Don't get me wrong, the backgrounds are nicely done too, but compared to the outstanding sprites and CGs, they're look kinda bland and uninteresting. I have a problem with the car background as well, because it looks quite huge compared to the sprites. 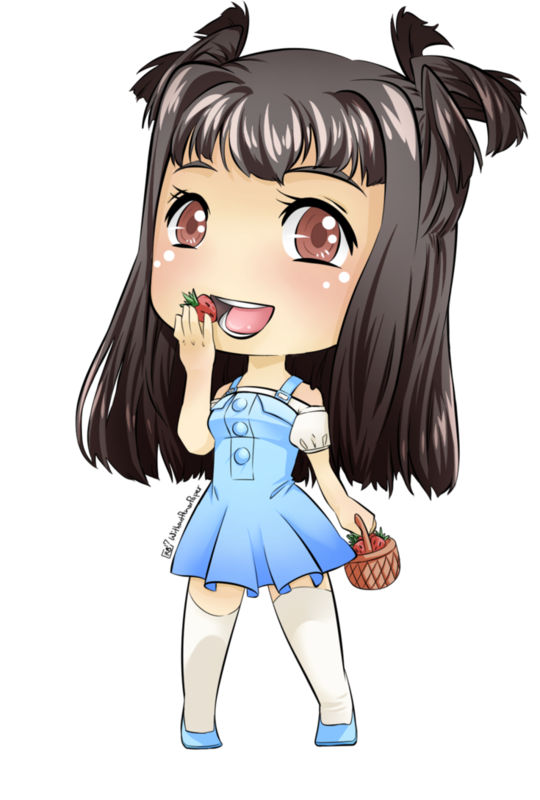 Oh, and I noticed something wrong about Karolyn's sprite. I think it's kinda translucent, because I can see a bit of the background behind her through her face. Yes, it's weird, but... yeah. It must be some kind of mistake or something, but it's pretty easy to see how something minor can be overlooked. The GUI is customized, so props for that I suppose, but I'm not a huge fan of it either. Especially the text and the textbox! I like pink (ooooh, did I just say that?!) but I think pink on pink is rather hard to read. Or maybe it's just because I wear glasses (okay, contacts, but yeah, same difference)? My eyesight is pretty bad and reading this sort of hurt my eyes because of the color combination. Apart from that, it's all good. I like the music! It's the cheery kind of music that makes you feel happy when you hear it. Plus, I think the music really matches the scenes that they're in. Nice, I guess? 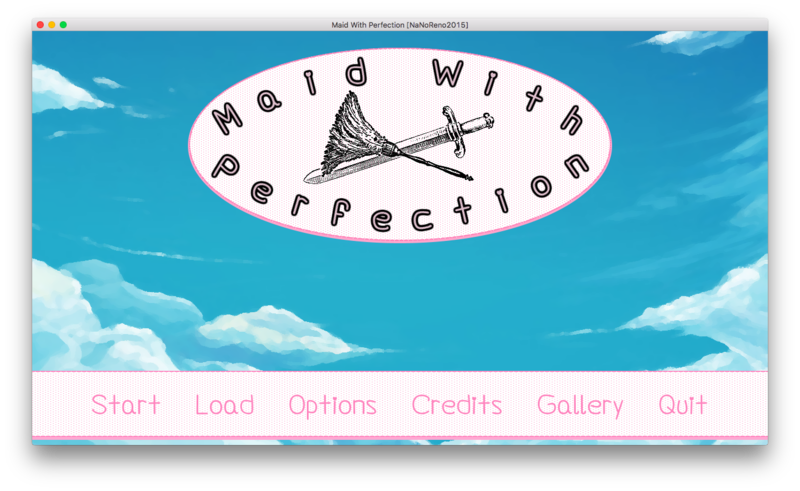 For a NaNoRenO release, Maid With Perfection is surely a pretty cool release! Then again, I think there are still a lot of things to improve on. Personally, I'm not a huge fan of the story, but it's still pretty interesting, so I think it's worth a try. 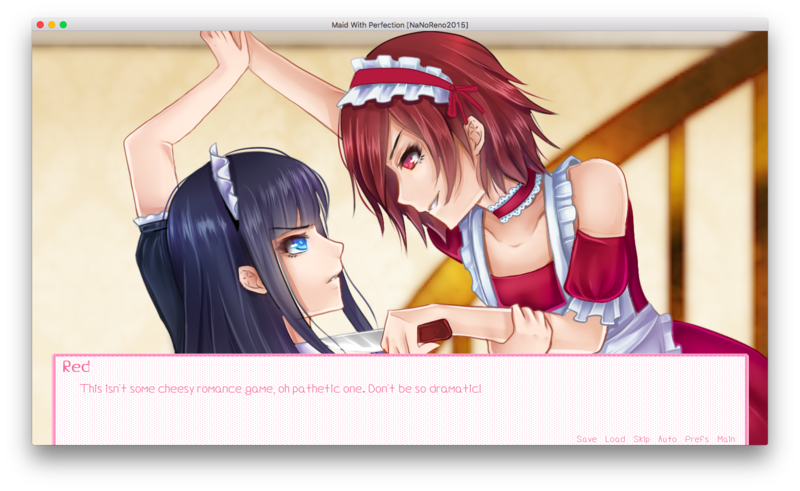 Be warned that there are some... not so child-friendly CGs here, so... make sure to be careful, hahaha, okay? You can download this game here!